Crowdfunding websites have become increasingly popular. Crowdfunding is "the practice of funding a project or venture by raising many small amounts of money from a large number of people, typically via the internet." Traditional Crowdfunding of raising money through e.g. a church collection box has been expanded to include options via the internet. Pretty well anybody. Talented athletes have used Crowdfunding. Sports clubs, charities and businesses have used Crowdfunding. The following examples show what can be achieved through Crowdfunding. However, it is worth looking at other examples on the Crowdfunding platforms. You will spot that not all attempts to raise funding this way are successful. Collingwood Community Pavilion raised just under £21K through a Crowdfunding campaign. Hyde FC Tigers raised just over £10K for a makeover of their social club. Yoga at the Reach raised just over £9K. A yoga practitioner and teacher in Sheffield to set up a studio. Llandudno U10s Disneyland Tournament 2015 raised just over £3K. Please note that we are not recommending the Crowdfunding platforms illustrated in these examples above. You will need to research the different platforms to find the one most suitable for your needs. Yes, it could be – see the links above. This is a massive and booming market. However, it is a crowded market. 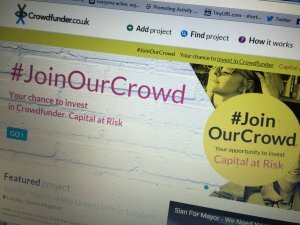 Are there different types of Crowdfunding? 1) Debt – investors are repaid for their investment over a period of time at a specified rate of interest. This type is more appropriate to businesses, and may be a way of replacing borrowing through a bank. 2) Equity – investors receive a stake / share in the firm. A bit like Dragons Den. Again this type is more appropriate for businesses. 3) Donations – contributions go towards a benevolent cause and the 'investor' receives nothing in return. This is probably more suitable for charities / clubs and individuals. 4) Rewards – investors receive a tangible item or service in return for their funds e.g. tickets to an event. The rewards could be set at different levels depending on the amount given. This form of Crowdfunding is probably used the least at the moment. You could find third parties to offer prizes / rewards. Or may be free activities or sessions at your club. A typical Crowdfunding campaign will run from two to eight weeks. What is Crowdfunding good for? 1) Funding specific projects. The more specific the better. You are unlikely to get funding for a general promotion of your club. Therefore, it is best to have a specific project in mind. 3) Engaging your audience and growing it. Crowdfunding also provides an early opportunity to promote your project. 4) It provides a relatively inexpensive way of getting funding. 2) Easy. A lot of thought needs to go into developing your Crowdfunding campaign. You will have to work hard to generate your crowd. 1) Set up a team to help you run your campaign. 2) Picking the right Crowdfunding platform is essential. There are many different Crowdfunding platforms. Therefore, research the different platforms carefully. Watch some of the campaigns and see how they go. Pick a platform which has the right look and feel for what you want to do. Some are specialist, e.g. focus on the arts, sport and social enterprises etc. Some are 'all or nothing'. This means that if you fall short of raising your target amount of funding, you get nothing. Some are not as good as others. They all operate differently in terms of what they ask of you, what they will do and what it will cost. Some platforms are unregulated. This may be less important than the clarity of the platform for your sector. Therefore, it is best to check out your chosen platform beforehand. 3) Clarity is essential. Define your project clearly. The more specific your project is the better. 4) The quality of your pitch is essential. Ideally, you will need to create a promotional video. You need to remember that you are trying to persuade someone to invest in your project. Therefore, a good pitch is essential. It doesn't have to be fancy with actors or flashy music or images. However, it does need to be clear and convincing. Don't make it too long – people will lose interest. Show real people, avoid actors. 5) Use your existing networks. Publicise like mad! Make your pitch go viral. Use social media – Twitter, Facebook etc… Think about seed funding your campaign to get it off to a flying start. Research suggests that people like to back success! 6) Early success in a campaign is essential. Data suggests that if you haven't raised at least 40%+ in the early stages of your campaign, it will fail. However, if you have received at least this early on, the data suggests that you will have 80% chance of raising the full amount. Therefore, think about seed funding to start your campaign off. 7) Don't forget to thank the people who donate to you. To do this your platform needs to provide you with, at the very least, an automated thank you service. However, ideally you need to be able to personalise the way you say thank you and keep your donors informed of how things progress. You never know, but that might help encourage them to donate to future projects. Your donors could be your ambassadors. 1) The cost of the pitch – creating the video / photos and the story. 2) Success fee: typically 3% to 5% plus VAT but could be more. Transaction fees. 3) The cost of rewards if you are going to use this option. 4) Many platforms are all or nothing, so choose carefully. This means that if you don't meet the target amount set, you won't receive anything. 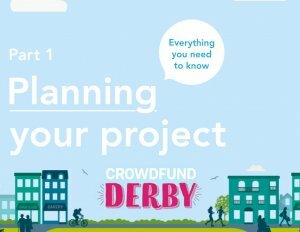 Although Crowdfund Derby is targeted at organisations working in Derby, they are have produced some very useful guides to Crowdfunding, which are essential reading for anyone considering starting a Crowdfunding campaign. 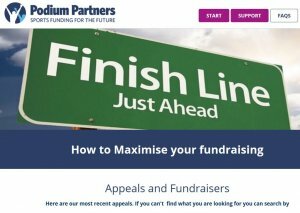 See the attached hints and tips from Podium Partners on how to market a successful campaign.